Kang Suobin is the professor of Hebei College Of Traditional Chinese Medicine Acupuncture Department, the president of Hebei province Acupuncture Association, chief physician and Master Tutor. He learned from many famous teachers including Yang Yiya, Xia Jintang, Gao Yuchun, Wang Yunkai and so on. Professor Kang learns profoundly, reads medical knowledge extensively, has a good command of various medical department particularly in treating nervous system disease and also is proficient in acupuncture. He has rich experience in clinic. 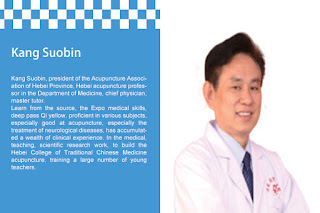 In the field of medical treatment, teaching and scientific research, he has opened up Hebei College of Traditional Chinese Medicine Acupuncture Department, trained many young teachers and he is also the Master Tutor of 12 postgraduate students. He won 6 scientific achievements and wrote more than 30 medical works. 1. After the new China was founded, as the first batch of barefoot doctor study, in the year of 1969, he was in charge of building hospital of war preparedness in Pingshan’s Jiao Tanzhuang district. It took one year and plenty of persistence for this hospital to accept patients. Approved by the county health group leaders, Kang Suobin joined in the medical technical operation and completed all the projects of clinical diagnosis and treatment in patients. He was highly praised by the patients and leaders. 2. With the reform enrollment system, he was enrolled for the first phase of the college student of workers, peasants and soldiers. In 1970, Kang Suobin was enrolled by Hebei New Medicine Of Chinese Medicine Department and became the first phase of college student of workers, peasants and soldiers. After 3 years of advanced studies, he had a great breakthrough in his study. During the time of college, he published a thesis “The Experience of Clinical Application of lateral”. This thesis was publised in The Research of New Chinese Medicine Of New Medicine College. After graduated from the college, he was a teacher in Hebei New Medicine of Chinese Medicine Department. 3. In 1977, he joins China aid Zaire Congo medical team to help the people around the world. Finally, he became the care doctor of the president. During the two years he served to aid foreign countries. He used the specialities of Chinese medicine and acupuncture to solve some difficult disease. The effects was shocked the people and they all showed their respect for him. He used acupuncture and massage to solve president Mobutu’s high blood pressure and arthritis, the effects was also very well and president spoke so highly of him. Because of the particularity of his work, he did so much help to diplomatic affairs and be praised by Duffy and Bo Pingzhou who are stationed Yildiz Palace as ambassadors. He was also awarded as advanced individual in foreign aid medical work. 5 : He was promoted to young associate professor of Hebei College of traditional Chinese Medicine Depend on his outstanding business performance. His academic level had got a great improvement after he studied in National Traditional Chinese Medicine College acupuncture class was held by Nanjing College of Traditional Chinese Medicine in 1984. To classic academic, especially Lingshu Jing, he always read it carefully and understand it deeply which help him write many treatises such as Pocket Acupuncture Manual and Classical Acupuncturolocy. He also makes some scientific research even if he is busy with teaching and clinical. His Study on the law and mechanism of acupuncture and moxibustion on anti muscle ache which is the key issues of provincial medical and health had got the second prize of Scientific Research Office. In 1995, he had promoted to Professor and botanic physician so that he become the youngest professor at that time. 6. Cultivate acupuncture talents and he was selected as the first master tutor. He cultivated 13 postgraduates. Among these 13 graduate students, there were 3 Korean postgraduates and 10 domestic students. Some of these students studied further in Beijing and Shanghai. They also worked in the local universities and research institutions. Postgraduates in the province had been the pace-setter in scientific research. Many of Those who worked in the provincial and municipal third class hospitals had been the head of department, tutors of postgraduate and pace-setter in scientific research. 7. Kang Suobin devoted himself to writing works and had been one of the writers among the middle-aged teachers in Hebei Institute of Traditional Chinese Medicine. During 10 years, he had published more than 10 papers with his rigorous scholarship, perseverance and industrious cultivation. He had been the editor-in-chief and subeditor, and written more than 30 works including Interpretation of Acupuncture, Prescriptions Essence Series 10, Pocket Acupuncture Manual, Self-Massage and Health Care for All The Ills, The Handbook of Acupuncture, Quick Effect of Acupuncture for All The Ills, New Works of Traditional Chinese Medicine, Famous Works and Formula Of Chinese Medicine, Manipulation Acology, Massage Treatment, External Application for Ills, Traditional Chinese Medicine and so on. They were published by People’s Medical Publishing House and Hebei Science And Technology Publishing House. These works included popular-science books, textbooks of higher medical college and universities, reference books for people who are engaged in the medical, teaching and scientific research, self-learning books for elementary health care workers and key bibliography for our country. Among these works, Self Massage and Health Care For All Ills won the first prize of the governing department of Hebei Province and The Interpretation of Acupuncture won the second prize of North Books. 8.He engaged in scientific research on acupuncture actively and won a number of first prize and second prize. Acupuncture scientific research includes many aspects. 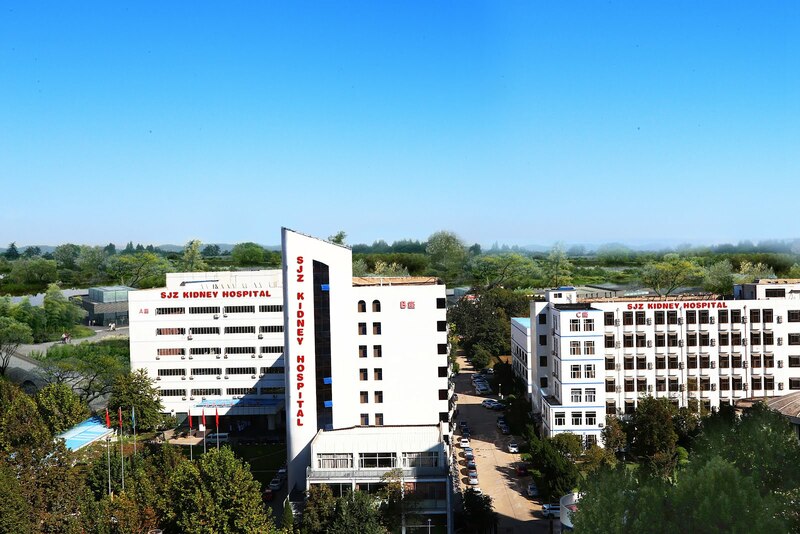 Besides clinical summary including clinical observation and treatment, and case analysis, modern scientific experiment is applied to research the objective laws, functional principles, application of technology promotion. His Clinical and Experimental Study on Nao Ling San and Electrotherapy for Al zhei mer Dementia won provincial first prize. His Clinical and Experimental Study on Herbs-partition Moxibustion and Acupoint Application for Rheumatoid Arthritis won the first prize of society of Chinese medicine. His Study on Channel Information Triggering the Change of AD Pathology won provincial first prize. His Study on Laws and Mechanism of Acupuncture to Relieve Muscle Soreness won provincial second prize. His Acupuncture and Moxibustion, and Guidance on Acupuncture Channels won the second prize of education department. At the same time, his Chinese Medicine Acupuncture and Moxibustion (hardback edition) was awarded the second prize of excellent scientific and technical books in the north 10 provinces in 1995. 9. He obeyed the order of leaders and held the leadership post of many departments in Chinese medicine fields. In 1993, leaders of institute of Traditional Chinese Medicine appointed him as the secretary and head of Institute of traditional Chinese medicine in Hebei. In 2001, he was appointed secretary of the party committee of affiliated hospital of Hebei medical university. As early as April 1989, he was rated as outstanding intellectual by Shijiazhuang municipal party Committee and Government. In September 1989, he was rated as outstanding intellectual by Hebei provincial Committee and Government. In September 1991, he was rated as outstanding teacher by Hebei province.